Office for Cities won the Versailles Pion competition. The 65,000 sqm urban development includes advanced sustainable housing typologies as well as a range of innovative services related to environmental issues. 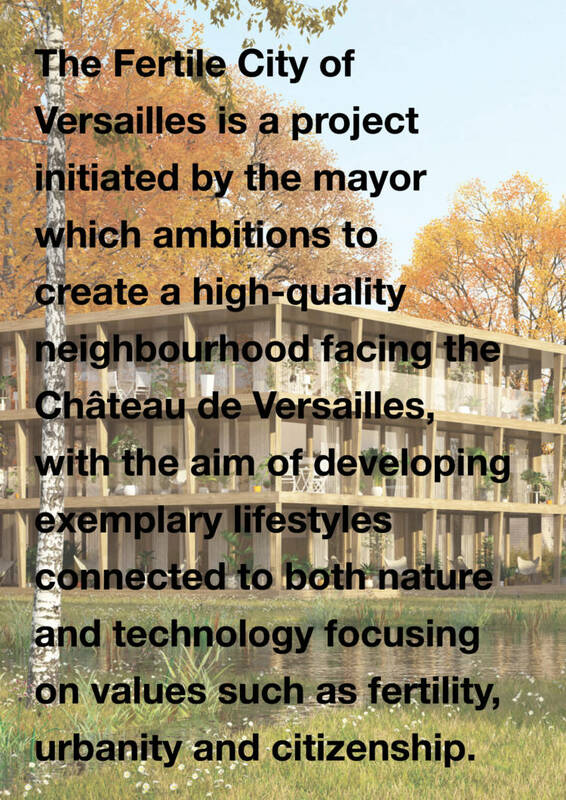 The urban development is a landmark for developing sustainable lifestyles surrounded by the Chateau de Versailles and part of an exceptional ecological sanctuary.